Ergonomics can be simply defined as improving the “fit” between the worker, the work environment and the work being performed. Identifying injury risks in the workplace related to design, operations, worker anthropometry, work habits, environment, workflow or other related factors is the first step to reducing the costly musculoskeletal disorders (MSD) prevalent in today’s workplaces. Employers strive to maintain a safe, healthy and productive workforce. The health ergonomic services we provide at Physical Therapy Associates of Schenectady and Berkshire Physical Therapy and Wellness can assist your business to optimize worker productivity and comfort while minimizing the potential risk factors that lead to musculoskeletal injury. Injury Avoidance and Management is key to controlling costs associated with work-related injuries. Identification of early warning signs and management of early symptoms can reduce the severity of musculoskeletal issues to insure they do not go on to become significant injuries. Our injury avoidance programs are designed to educate workers in ways they can prevent specific injuries and reduce cumulative trauma to their bodies during work-related activities. In addition to ergonomic services, our physical therapists help manage musculoskeletal injuries to keep employees working, reduce restrictions and lost work time, and insure the earliest possible return to work following injury or illness. Since businesses and employees are unique to their work tasks and potential injuries, an injury prevention program is unique as well. Customized education programs allow us to target the most common injuries and get employees actively involved in the injury prevention process. In addition, we can provide screenings and work conditioning programs for new employees to insure their physical abilities match the job tasks. A Functional Capacity Evaluation (FCE) is a comprehensive evaluation that provides an objective measure of an individual's safe maximal physical capacity to perform work. The detailed examination and evaluation process is designed to measure the individual’s current level of function, like a snapshot in time, within the context of the physical demands of employment. An FCE measures the ability of an individual to perform functional or work-related tasks and predicts the potential to sustain these tasks over a defined period of time. The physical capabilities achieved during the FCE are compared to the physical demands of a job or other functional activity and are used to make "Return to Work" / activity decisions, disability determinations or to generate a rehabilitation plan. What is the information from an FCE used for? Our team of physical therapists specialized in ergonomics can provide recommendations to both employers and employees to reduce strain, improve work posture, modify tools and equipment, create rotation schedules, and improve productivity and worker’s comfort. A Physical Therapy Associates consultation can become a valuable part of employee health and safety teams to help promote a proactive approach to reducing work-related injuries. 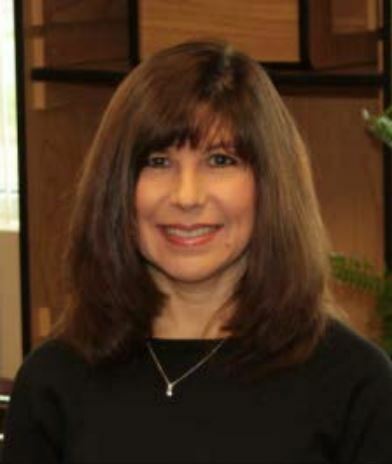 Rosemarie earned her degree in Physical Therapy from Upstate Medical Center in 1979. She became a Certified Specialist in Health Ergonomics (CSHE) in 2005 and has extensive expertise in the areas of industrial consultation, health ergonomics, job analysis, injury prevention and management, functional capacity evaluation, job matching. Rosemarie is also a certified Functional Capacity Evaluation provider for ErgoScience and DSI Work Solutions, and a provider for WorkSTEPS Objective Employment Testing protocols. In addition to industrial consultation, her clinical expertise includes orthopedics, manual physical therapy, hand therapy, foot biomechanics, athletic injury management and general rehabilitation. She is a Certified Professional Trainer (CProT) through NCSME. Rosemarie has developed onsite injury prevention and ergonomics programs for companies including GE Energy, GE Transportation (Energy Storage), SI Group, US Postal Service, Momentive, Lydall and others. She presents ergonomics and injury management training programs to businesses and is involved in all aspects of return to work management. Rosemarie manages the Ergonomics Team of Physical Therapy Associates of Schenectady, P.C.